Today’s building industry demands a new breed of design professionals. More than ever, employers and clients are turning to dynamic creatives who bridge the gap between architects and interior designers. These professionals use both art and science to solve the evolving issues of user experience, accessibility and sustainability. 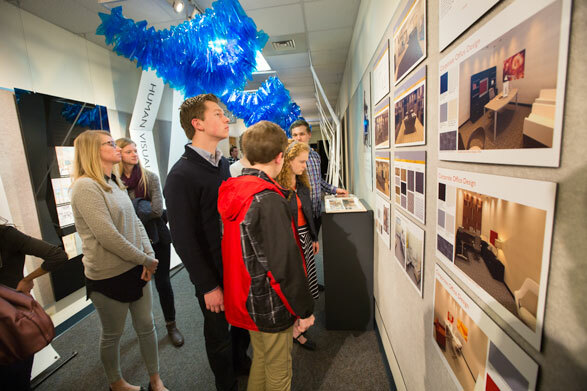 At BJU, you’ll learn to participate on architecture and design teams to create smart environments across the arenas of health care, retail, education, workplace and the home. You’ll develop an eye for detail and master both the technical and aesthetic demands of an architectural project—from researching and choosing materials to space-planning within specific building codes. You’ll gain a strong foundation in art and design theory, and you’ll combine that foundation with practical industry knowledge and technological training. Form (Aesthetics)—Color theory and the ability to select materials that present a unified look to a space is crucial. 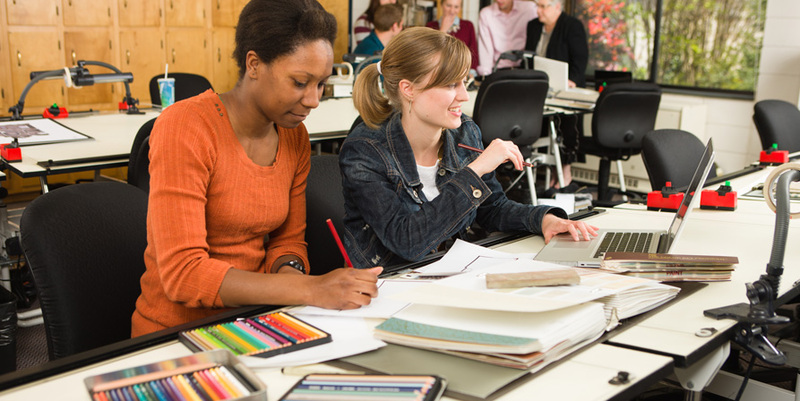 Courses in drawing, graphics and foundational design instill a strong understanding of using color intentionally to bring art and design to life. Safety—You’ll learn how to keep spaces free from obstructions, use fire-retardant materials and finishes, maintain good air quality, and further, to serve the people who use the space. Accessibility—The Americans with Disabilities Act requires many features in commercial spaces and recommends many in residential spaces that make it easy for people to use spaces without calling attention to themselves. You’ll learn how to make your spaces welcoming and helpful to all kinds of people. Function—The function of a space concerns the goal of the user. Function must be considered from the beginning of the design plan, and all decisions must be weighed against it. Sustainable Design—You’ll learn how to design spaces that use renewable resources, have limited negative impact on the environment and connect people with the natural environment. Graphic Presentation—You’ll take graphic design courses, enter contests and complete studio design projects to develop skills in page layout, branding and digital imaging. This knowledge broadens the application and value of your education and instills confidence in presenting a professional, polished product. You’ll also develop the skills to master the latest architecture and design technology: AutoCAD, Revit Architecture, SketchUp, SU Podium, Adobe InDesign, Adobe Photoshop and Adobe Illustrator. By the time you graduate, you’ll have a strong foundation in the creative process, a professional portfolio and valuable on-the-job experience through your senior internship. At BJU, you’ll build a foundation in critical thinking and living as a light for God’s kingdom. Courses in English and speech will give you the skills to communicate effectively with clients and co-workers orally and in writing. Other liberal arts courses, such as economics, philosophy and science, will round out your education and help you develop important life skills like problem-solving and analytical thinking. In addition, you’ll experience a wide variety of fine arts events, including plays, operas and concerts, which will inspire your imagination and creativity. Core Bible courses will help you grow more confident in the truth of God’s Word and encourage sharing your faith with others. You’ll also learn how to apply principles from these courses to your business practices and ethics. You’ll have a lot of flexibility when it comes to picking electives. Some of the best options include photography and additional art courses so you can expand your design skill set. Business and accounting courses are other great options, especially if you’re interested in small businesses or entrepreneurship. Bob Jones University was an obvious choice for my studies as its programs have an excellent foundation on biblical principles, and it’s one of the few Christian universities offering a degree in interior design. As I began my journey into the world of design, I quickly realized how complicated and demanding the program would be. Although the rigor of projects, exams and presentations is difficult, they are both manageable and rewarding. Diane Mattox and Laurilyn Hall (who are the design instructors at BJU) are well equipped to handle any interior design problems or spiritual challenges their students are constantly dealing with. Their passion for design and their heart for their students is inspiring and impactful. I am still grateful for the way Mrs. Mattox was able to show grace to me and was able to give me much needed spiritual guidance as I was struggling to handle my academic load. My education at BJU equipped me well for being successful in the workforce. I worked for a year out of college at an architectural firm where I drafted blueprints, manufacturing drawings and installation guides for wood acoustical paneling systems. I then transitioned into an interior design firm, where I am currently working, located north of Travelers Rest, South Carolina. As I have begun to work on multimillion dollar homes in the Cliffs communities, I have been excited to find that principles and techniques taught through my classes at BJU have given me a firm foundation to build on. Interior architecture and design is often confused with interior decorating. 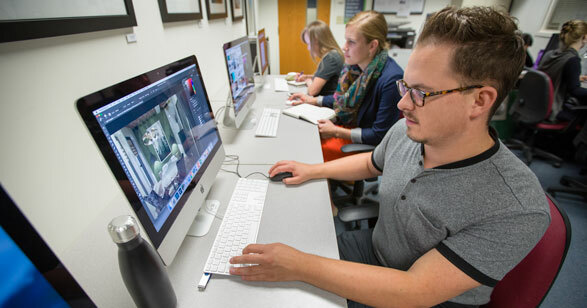 While both are valid professions, it is important for prospective students to realize that the degree offered at BJU is one of design. The degree is very demanding and thoroughly covers a variety of subjects and disciplines including: hand drafting, CAD drafting, history of design, drawing, graphic design, schedule making, preparing design boards, and presentation. Not only does BJU offer excellent programs, but the facilities and opportunities are excellent as well. I was privileged to compete as an intercollegiate athlete for the University and participate in several world-class drama productions. I truly believe that there is not a school to rival the excellence in programs, the quality of facilities, the faculty, as well as the firm foundation on biblical principles BJU provides. The numerous opportunities available to every student who is willing to be challenged to reach their full potential add to my list of reasons I am glad I chose to study interior design at BJU. I have been well prepared for my career from my time at BJU and would recommend its interior design program to anyone considering a career path in the design industry. The interior architecture and design studio comes equipped with an excellent selection of tools and resources that you can use. You’ll have access to drafting equipment, a blueprint machine, a library of reference books and a selection of fabric and finish materials and catalogs. 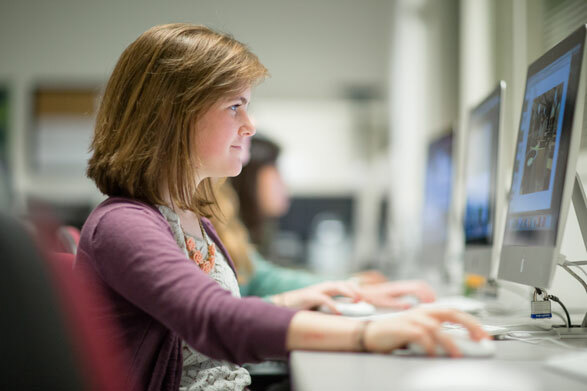 Additionally, computer labs on campus come equipped with design software (including InDesign and Photoshop) that you can use. Our on-campus copy center is super convenient and helpful (especially as you assemble your computer-generated drawings and plans for projects and your end-of-program portfolio). Many positions in the field require professional interior design licensure, so naturally you’ll want to be prepared for the exam. That’s why we’ve designed the program to meet all the standards of the Council for Interior Design Accreditation—including the number of hours in art and design courses you’ll take and the subjects that are covered. The program also includes pre-architecture training, so you could continue your education with a master’s degree in architecture. Connecting with professionals in your field is a great way to learn and grow in your passion and skills. That’s why we encourage you to attend helpful forums twice per semester, where you’ll hear graduates and other professionals share their insights and experiences. You can also join the International Interior Design Association so you can connect with professionals in the Greenville area. Biltmore House & Gardens, Asheville, N.C.
International Home Furnishings Market, High Point, N.C.
Art Museums in New York, Atlanta, Chicago, Washington, D.C., and Charleston, S.C.
Our interior architecture & design program’s faculty members do more than give you the skills to succeed in your field. They care about you as a person and want you to succeed wherever God leads you. Combined, they have a total of 44 years’ teaching experience, in addition to many years of experience in freelance design. Solve complex design problems through the study and integration of technical, spatial, aesthetic and conceptual knowledge. Effectively communicate design solutions using oral, written and visual presentation skills. Employ an understanding of the principles of art and design to create solutions for interior architecture and design projects. Evaluate design work based on knowledge of industry terminology, building codes and materials, interior finish materials and architectural issues effecting the built environment. Produce a portfolio of work that details professional industry knowledge and the skills necessary for securing career opportunities in the field of art and design. Understand the industry standards and behaviors necessary to perform in the global marketplace for art, architecture and design.